The Wedgwood Community Council (WCC) and the Seattle Department of Transportation (SDOT) have been working together to identify and secure funding to address traffic concerns along NE 95th Street from the intersection of 35th Ave NE, west to Lake City Way NE. As part of the 2014 Traffic Improvement Budget, the City allocated funding to evaluate traffic and pedestrian concerns along this corridor. The proposed improvements will focus on sidewalk infrastructure, crosswalk options, and measures to reduce speeding. NE 95th Street needs traffic safety improvements. 1) Reduce speeds on NE 95th Street between 35th Ave NE and Lake City Way NE. Excessive speeding occurs on NE 95th mainly because there are no speed reducing measures like sidewalks or marked and visible crosswalks. The street lacks visible speed-limit signs and there is little to no police patrol. 2) Lack of crosswalks along the NE 95th Street corridor. Many Wedgwood residents walk across NE 95th Street to get to schools such as Wedgwood Elementary and Nathan Hale High School. Residents may want to walk to churches, businesses and bus stops but the current infrastructure on NE 95th Street does not keep pedestrians safe. There are no marked and visible crosswalks, there are no sidewalks to protect pedestrians from speeding cars and most importantly kids and parents are taking a risk when they decide to walk or bike to school. 3) Lack of sidewalks along the NE 95th Street corridor. As many people in the community have experienced firsthand, there are no sidewalks on NE 95th Street. In almost 60% of the corridor, there is a five-inch dip between the edges of the asphalt over to an uneven gravel shoulder of the road. The lack of sidewalks and crosswalks puts pedestrians at risk of being struck by passing cars. 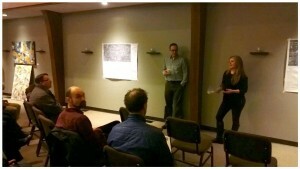 Overview: Jim Curtin from SDOT listened to residents’ concerns and their ideas of how to rectify problem areas along NE 95th Street. We discussed how much money is currently allocated, and that SDOT is working on getting additional grants to expand the road improvement project on NE 95th Street. As an immediate measure, a speed limit sign for westbound drivers may be moved further out so that drivers will have clearer visibility to see the sign. Drivers should already know that the speed limit is 30 miles per hour on arterial streets but the speed limit signs are there to reinforce and remind. Next Steps: SDOT will begin doing some initial assessments and surveys along NE 95th Street between Lake City Way NE and 35th Ave NE. The initial design plans are to be 30% complete by mid to late summer 2014. 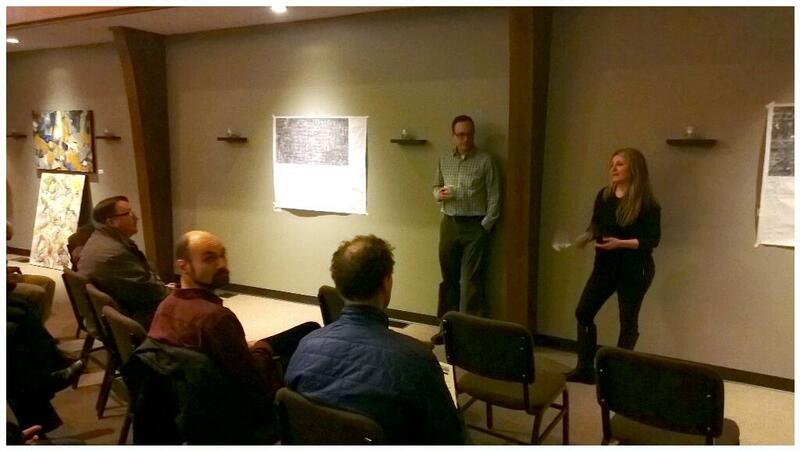 At that point, Bilkay Rose of WCC and Jim Curtin of SDOT will host another community meeting to give residents the opportunity to view the preliminary plans. We plan on doing another review with SDOT when the design plans are 60%+ complete in late 2014. 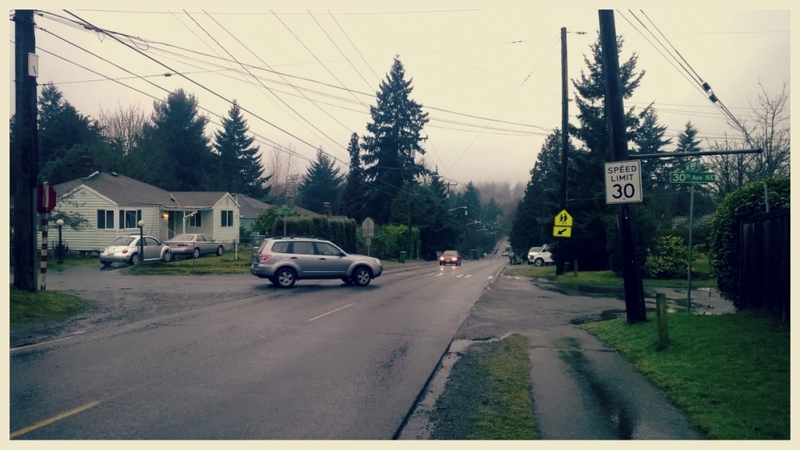 Construction on the NE 95th Street improvements is likely to begin in 2015. Next → Next post: Seattle Public Utilities Wants Your Input! My house is at 2331 NE 95TH ST. Please design the road so that there will be off street parking for us.